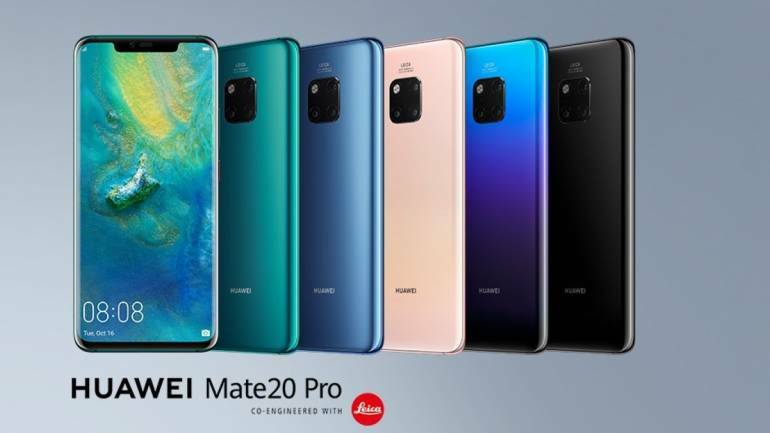 Chinese device maker Huawei has officially unveiled four new smartphones Huawei Mate 20 Pro, Huawei Mate 20, special edition Porsche Design Huawei Mate20 RS and Huawei Mate20 X smartphones at an event held in London. The smartphones are the first ever to come powered by Huawei’s homebred Kirin 980 chipset, world’s first 7nm technology SoC with 6.9 billion transistors. The Huawei Mate 20 runs EMUI 9.0 on top of Android 9.0 Pie, and sports a 6.53-inch full-HD+ (1080×2244 pixels) RGBW display with 18.7:9 aspect ratio, DCI-P3 HDR, 88.07 percent screen-to-body ratio, and a maximum brightness of 820 nits. The phone is powered by a HiSilicon Kirin 980 7nm SoC with dual AI processor. There is a 4,000mAh battery under the hood, with support for new 40W Huawei SuperCharge technology. In terms of optics, the Huawei Mate 20 sports a Leica triple rear camera setup. This setup consists of a primary 16-megapixel ultra wide angle sensor with f/2.2 aperture, a secondary 12-megapixel wide angle sensor with f/1.8 aperture, and a tertiary 8-megapixel telephoto lens with f/2.4 aperture; all of these coupled with LED flash and Super HDR. Connectivity options on the Mate 20 include 4G LTE, Wi-Fi 802.11ac, Bluetooth v5.0, GPS/ A-GPS, and a USB Type-C port. 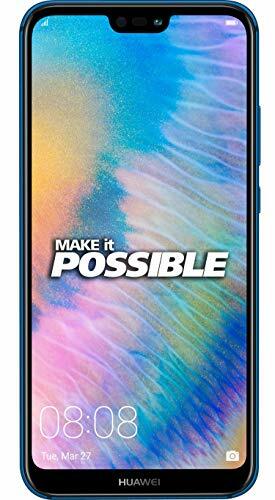 Huawei Mate 20 Pro comes with a tall 6.39 inch curved AMOLED display with a wide notch which houses the Face Unlock apparatus along with the front camera. The device is powered by an octa-core AI-enabled Kirin 980 processor. 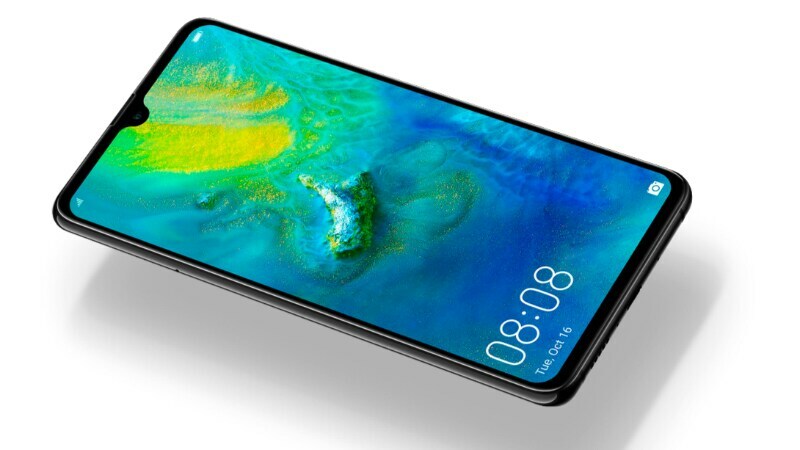 The device will come with Android 9.0 Pie with Huawei’s skin EMUI 9.0 loaded on top. In camera, which is the USP of the phone, Mate 20 Pro comes with triple-camera setup with 40MP RGB + 20MP Ultra Wide Angle + 8MP telephoto lenses from Leica with aperture of f/1.8, f/2.2 and f/2.4 respectively. At the front there is a 24MP camera with aperture of f/2.0. The smartphone is powered by a 4200 mAh capable of 40W SuperCharge technology. It will be available in five colour options – emerald green, midnight blue models twilight, pink gold and black. The Mate 20 X is essentially a gaming-centric smartphone that will no doubt take on the likes of the Xiaomi Black Shark and Razer Phone 2. The smartphone flaunts a huge 7.2-inch AMOLED display with support for HDR10 for a more immersive visual experience. Buyers will be able to choose from Midnight Blue, Silver Violet color options. While the device is no doubt a powerhouse, the highlight is how Huawei is keeping the temperatures low to maintain performance levels. The Mate 20 X’s cooling system comprises of graphene and a vapor chamber, which is claimed to offer up to 70 times cooling improvement. This cooling system not only maintains high-performance levels, but also improves overall battery life. 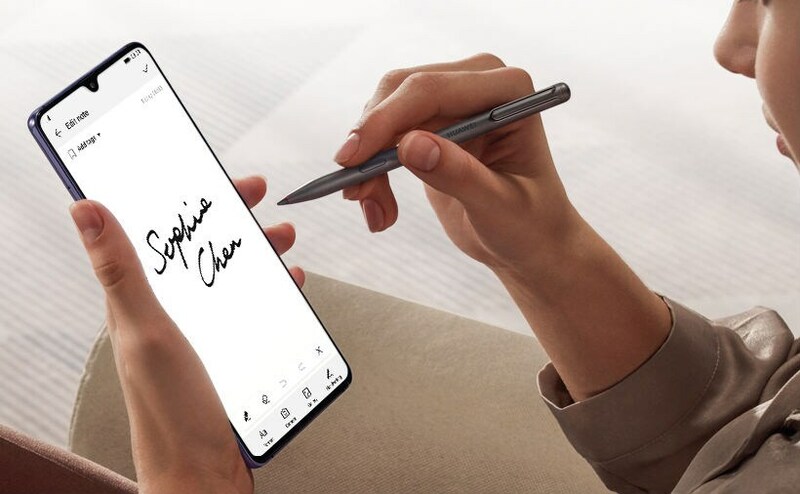 It also comes with stylus support, making it a direct competitor to the Samsung Galaxy Note-series. 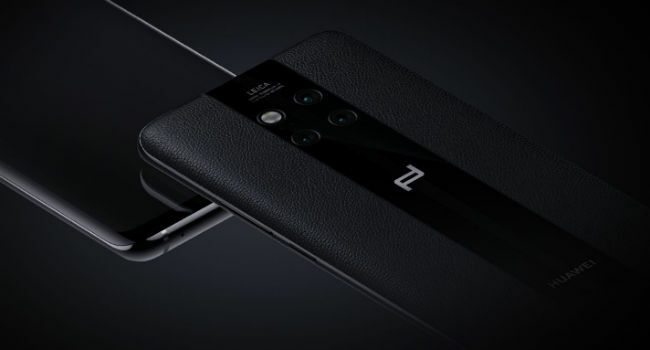 The Porche Design Huawei Mate 20 RS features a striped design on the rear panel, which is made of glass and leather. Apart from the design, there is barely any change in the phones’ hardware as compared with the Mate 20 Pro. It is also powered by the same Kirin 980 SoC and features a 6.39-inch 2K+ Curved OLED HDR display, in-display fingerprint sensor, and a 40MP + 20MP + 8MP Leica Triple Camera setup on the back. The Huawei Mate 20 and Mate 20 Pro have been announced in Emerald Green, Midnight Blue, Pink Gold, Twilight and Black colours. 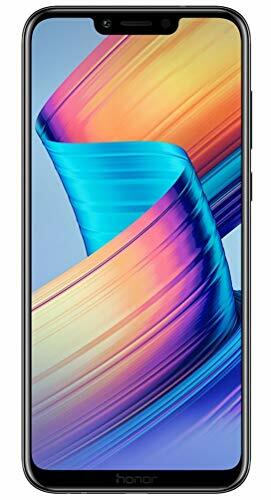 The 4GB RAM + 128GB storage version of the Mate 20 is priced at 799 Euros (Rs 67,865 approx), while its 6GB/128 GB model costs 849 Euros (Rs 72,111 approx). The Mate 20 Pro comes in only one variant with 6GB/128GB and is priced at 1049 Euros (Rs 89,099 approx). The two phones have been announced to go on sale from October 16 in Europe but we have come to know that they might not even make it to India. The Huawei Mate 20 X comes in Midnight Blue and Phantom Silver models. Like the Mate 20 Pro, it comes in with 6GB RAM and 128GB of internal storage, which is priced at 899 Euros (Rs 76,358 approx). It will be made available in Europe from October 26. The Mate 20 RS comes in Black and Red colour variants and in 8GB RAM/256 GB storage and 8GB RAM/512 GB storage models that are priced at 1695 Euro (Rs 1,43,969 approx) and 2095 Euros (Rs 1,77,944 approx) respectively. The phone will be available in Europe from October 16 and as mentioned above, as of now, the company has no plans of bringing these phones to India.